A program helping adults with developmental disabilities find skills that make them successful in the workplace is losing funding. The 'Get Employment Ready' centers say that without the revenue stream, hundreds of Kern County residents may lose their job independence. 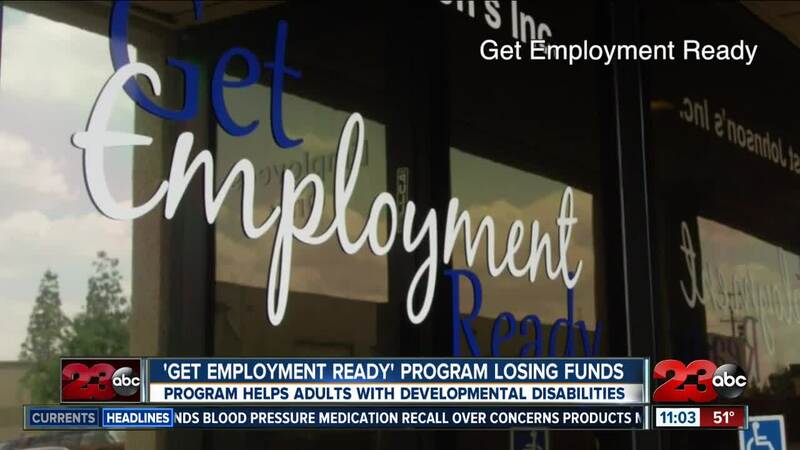 BAKERSFIELD, Calif. — The jobs at the Just Johnson's Inc. 'Get Employment Ready' Program is designed to teach adults with developmental disabilities, skills to become good employees and reach their goals. The program is in jeopardy and by February will be losing their most important funding. According to Julie Carter, the program director for the 'Get Employment Program' said earlier this year the Kern Regional Center decided they would no longer be able to fund the salary paid to those in the program. Carter said without the funds the program can no longer employ the program participants, also known as consumers. She said the wages are keys to success and giving the consumers independence. That's pretty hard to teach someone how to be a good employee if they are not employed. The wages are a key to the motivation of the consumer's changes in becoming good employees, said Carter. The program teaches the consumers soft skills that are important in every job which include, attendance, initiation, effort, communication and even getting along with your supervisors to name a few. While participants work for wages, their work is simultaneously helping the community. From making blankets for the Ronald McDonald House or learning janitorial skills to keep parks clean, Carter says this is a very important program. Documents show the program is in an appeals process that Carter hopes will restore the program's funding but as of now, their future is uncertain. 23 ABC reached out to the Kern Regional Center on their decision to stop the funding to pay program participants, but they have not yet responded.